A great deal of coverage has been given to the apparent even-numbered year (ENY) dominance of the San Francisco Giants. Prognosticators aplenty wondered, perhaps tongue-in-cheek, if the Giants would win the World Series this season prior to April. It was too coincidental, after all, when in 2014 they won their third title in five seasons, adding to the Commissioner’s Trophies they claimed in 2010 and ’12. Of course, they followed that up this year by narrowly surviving a second-half swoon–they were 57-33 at the All-Star break and 30-42 thereafter–to claim the National League’s second wild card over the St. Louis Cardinals on the regular season’s final day. What’s even more unusual is that they followed up each championship with a postseason miss in the subsequent odd-numbered year (ONY). And while they finished just barely on the outside looking in during the ’11 and ’15 campaigns, they limped to the finish at 76-86, well out of contention. That season was marked by unexpectedly poor pitching from starters not named Madison Bumgarner–Tim Lincecum, Matt Cain, Barry Zito, and Ryan Vogelsong combined to go 27-41 with a 4.78 ERA. And with Bumgarner going 9 and shutting out the defending NL champion Mets, it looks like this could be another ENY to remember. What makes this trend so unusual is that, it hasn’t been going on for just a few years. Instead, it seems to have followed manager Bruce Bochy since he took his first job with the San Diego Padres in 1995. Students of the game might remember he managed them to an unexpected 98 regular season wins into the 1998 World Series, where they were unceremoniously swept by one of the greatest teams ever assembled, the 114-48 New York Yankees. So Bochy’s four World Series appearances stretched across 21 seasons (I’m excluding 2016) all came in ENYs. Unusual coincidence, right? Perhaps not. 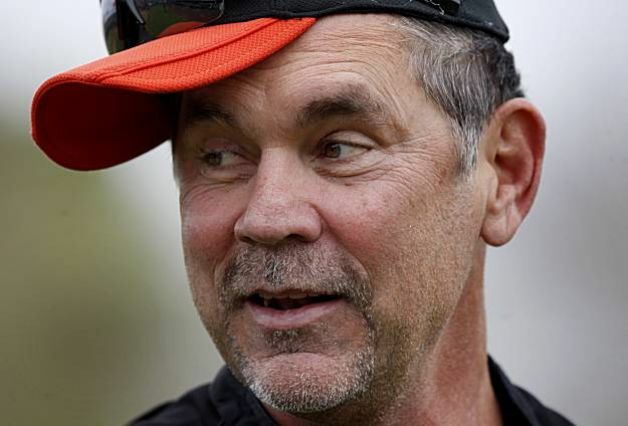 Bochy’s average winning percentage is 45 points higher in ENYs vs. ONYs. Because the ’95 season was shortened by 18 games due to the players’ strike, it’s tough just to average the wins from each 162-game season together, but it works out to nearly 7 1/2 wins more per ENY than ONY. That total was nearly 9 wins more per ENY during his dozen seasons with the Padres, which added up to finishing, on average, more than one position higher in ENYs than ONYs. He has managed exactly three postseason games (all losses) in an ONY–the 2005 NL Division Series, in which the 100-win Cardinals dispatched the 82-win Padres in three games. Interesting side note 1: Three NL East teams finished with better records but still missed the postseason that year. Interesting side note 2: If not for the universally dreadful play in the NL West that year, Bochy’s team would have very likely missed the postseason altogether–they do, after all, hold the distinction of the worst regular season record ever to advance to the postseason in a non-strike-shortened season (to see why I needed that qualifier, see: ’81 Royals). His teams have played seventy (70!) in ENYs, including last night’s wild card victory over the Mets. Greatest win total for an ONY: 88, in 2009. That number has been at least equaled in six ENYs (1996, ’98, 2006, ’10, ’12, and ’14). Before I created this spreadsheet, I wondered if perhaps some of his ONYs were simply unlucky, the victim of a dominant division foe and stronger wild card contenders. But his overall winning percentage as well as postseason performance in ENYs compared to those in the ONYs indicate there’s something more than just luck. Perhaps it’s part of his strategy, to overuse players (pitchers in particular) who are doing well, burning them out after a lengthy postseason run, thereby harming any results the following, but allowing the player(s) enough time to recover for the next ENY. If you think of it that way, it’s an interesting strategy that pays off if it works. He’s won three World Series titles in San Francisco after an abysmal ENY in ’08 (72-90). That kind of hardware haul allows a manager and his players some breathing room when it comes to dealing with management, local sports media, and fans. Conversely, by going for broke every other season, missing the ultimate prize stings even more when failing to contend for the postseason the next year. After a pair of successful ENYs (’96 and ’98) in San Diego, the team held a fire sale and finished under .500 in the next two (’00 and ’02), and won only one of seven NLDS games in ’04 and ’06. Following that last unsuccessful postseason run, incoming CEO Sandy Alderson permitted Giants general manager Brian Sabean to interview Bochy for their job. Bochy, of course, got the gig and, while he took it on the chin the first two years with San Francisco, he quickly transformed them in to the ENY juggernaut we know today. Even though the Cubs basically wrapped up home-field advantage in the National League by Memorial Day and sauntered to 102 wins, their NLDS match-up with Bochy’s late-clinching Giants, beginning Friday evening at Wrigley Field, should prove immensely entertaining, if for no other reason than the inevitable championship feeling that Bochy’s club has this season.